Thermo Fisher Scientific said it has agreed to acquire the Advanced Bioprocessing business of BD (Becton, Dickinson and Company) for an undisclosed price. BD Advanced Bioprocessing includes cell culture media, supplements, and feeds designed to work in a variety of biopharmaceutical applications—including the production of vaccines, monoclonal antibodies, and biosimilars—with the goals of improving yield and reducing variability. Thermo Fisher says BD’s technical services program, and peptone products designed to enhance cell culture media formulations will enhance its existing biomanufacturing offerings. “The addition of these new capabilities will complement our bioproduction offering and strengthen our ability to serve this rapidly growing market, from development to large-scale production,” Mark Stevenson, EVP and COO of Thermo Fisher, said in a statement. Chemically-defined, animal-free, and protein-free cell culture supplements such as BD Recharge™ and BD Resurge™ supplements. Animal-free blends of yeast and soy peptones designed to enhance the performance of basal or platform media, while offering a lower risk alternative to animal-based supplements. Animal-origin peptones—including bovine, porcine, and casein sourced peptones—intended to offer a rich source of nutrients for both mammalian cell culture and microbial fermentation. BD Select™ media products designed for large-scale production of Chinese Hamster Ovary (CHO) and other mammalian cell culture applications. BD Cell™ media products designed for high-density growth of hybridoma cell lines, and shown to work with growth in other cell types. These products can help support converting adherent cell lines to suspension cell culture. 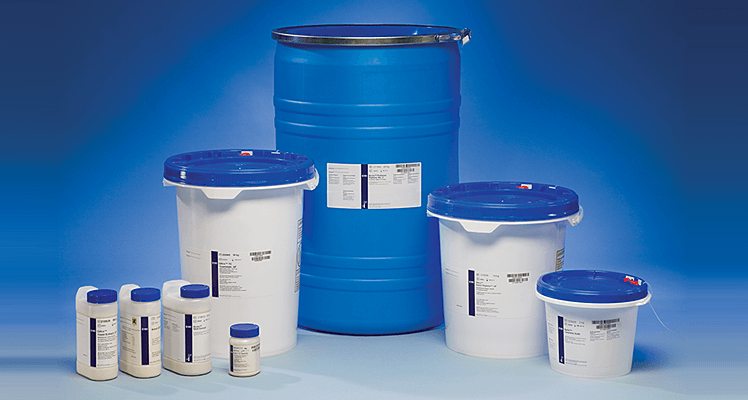 A library of complete cell culture media, which according to BD can be tailored to meet specific cell line requirements. The company’s media library includes animal-free and chemically-defined options designed to meet specific customer needs. According to BD, products produced by Advanced Bioprocessing are used in the manufacture of more than 110 animal and human health biopharmaceuticals on the market today. BD Advanced Bioprocessing has annualized revenue of approximately $100 million, and is part of the company’s Life Sciences segment. For the nine months ending June 30, the Life Sciences segment grew 9.7% over the previous year, to $3.222 billion—of which $1.079 billion was generated during BD’s third fiscal quarter 2018 (April-June), up 8.2% from $997 million the year-ago period. Over the first nine months of BD’s fiscal year, BD Life Sciences has seen its biggest growth coming from its diagnostics unit, whose revenues have jumped 9.9% year-over-year to $518 million. Biosciences have risen 5.7% to $350 million, while preanalytical systems have risen 2.2% to $565 million. Thermo Fisher said it will integrate BD's Advanced Bioprocessing business into its Life Sciences Solutions Segment. The segment includes reagents, consumables, and instruments sold under the Thermo Scientific name as well as the names of Applied Biosystems, Invitrogen, and Gibco. During the first half of 2018, Thermo Fisher’s Life Sciences Solutions saw its revenues rise 10.8% over January-June 2017, to $3.068 billion—including $1.569 billion generated in Q2, up 11.7 from a year ago. BD said it expects to record a tax gain on the transaction at the time of closing. The deal is expected to close in early 2019, subject to customary closing conditions. For BD’s current 2018 fiscal year, which began October 1, 2017, Advanced Bioprocessing has been estimated to contribute approximately $0.13 to $0.15 to BD’s earnings per share (EPS) on a full-year basis. In releasing results for its third fiscal quarter on August 2, BD narrowed its FY 2018 adjusted diluted EPS to a range of $10.95 to $11.05, from a range of $10.90 to $11.05 previously, citing the company’s increased revenue outlook—driven by the acquisition of medical technology developer C.R. Bard—and a small decrease in the expected benefit from foreign currency. The revised projected range represents an increase of approximately 15.5% to 16.5% over FY 2017.